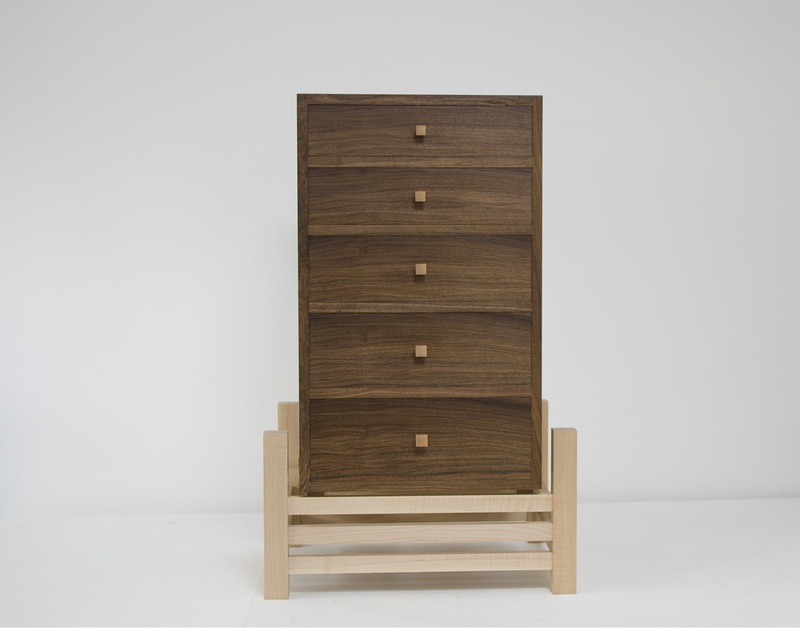 Garry Olson is a designer and maker of high quality handmade furniture. Through consultation he provides a service that meets the needs of the client. His designs are contemporary but are often described as timeless. Traditional construction is combined with modern techniques to ensure that every piece will survive for generations. Specially selected hardwoods are used with the natural beauty of timber always being featured. This piece is made from exquisite quality English walnut that Garry had been saving for years to make something special. 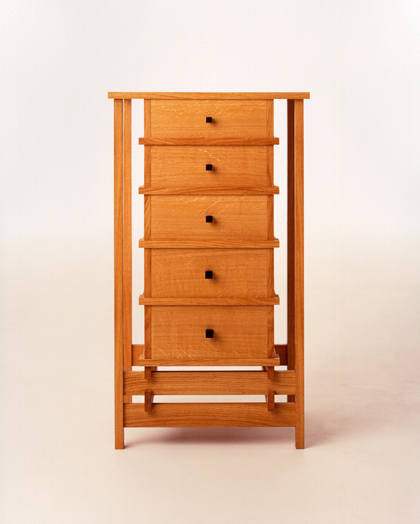 The handles and base are in sycamore, to contrast, and the interior drawer parts are English oak and cedar. This represents the best possible workmanship and is available for sale on application. 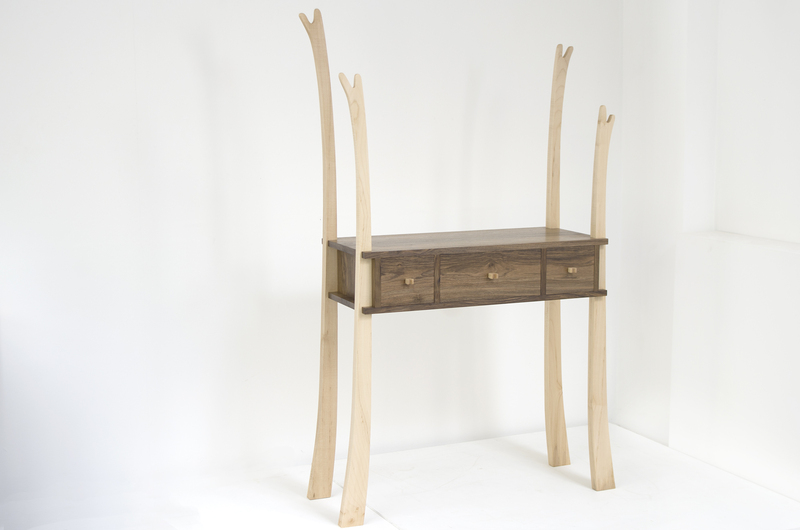 This quirky piece once again combines English walnut with sycamore. It has been made with an entrance hall in mind where the drawers could be used for keys, gloves and the like while the hooks on the extended legs are a place for hats and scarves. The overall effect is sculptural and fun. 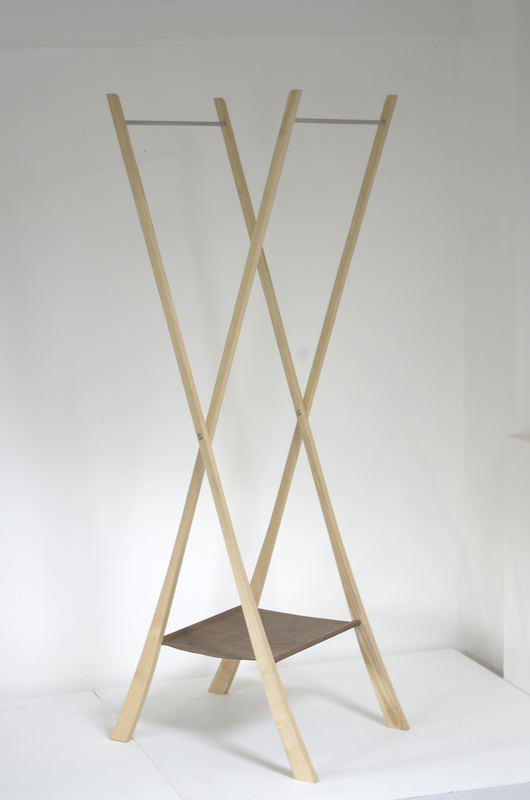 This coat stand is one of series made in various timbers and details. Designed for a hall or spare bedroom it folds flat to hide behind the door when not in use. The stainless steel rails are for guests to hang their clothes while the leather shelf is perfect for shoes. Ordering your own hand made furniture can be exciting and satisfying. Rather than accepting a showroom item you have the opportunity to be part of the design process. Garry starts by discussing the needs of the client. The resulting piece will be the right size, perform a function and suit it's surroundings. It will also be outstanding quality and last for future generations. There is no set range as every piece is treated as an exclusive one-off. However, designs can be repeated and themes can be followed. Interested in a unique piece of handmade furniture? Let's talk.